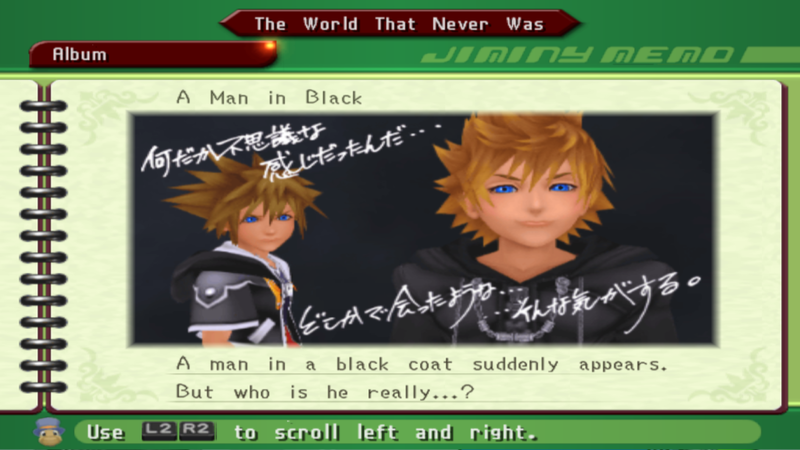 So, in the Japanese version of KHII (as I'm sure you all know), "Sora" actually writes little notes in the Journal--that have Nomura's handwriting to them--and I'm wondering if anyone's ever translated them? 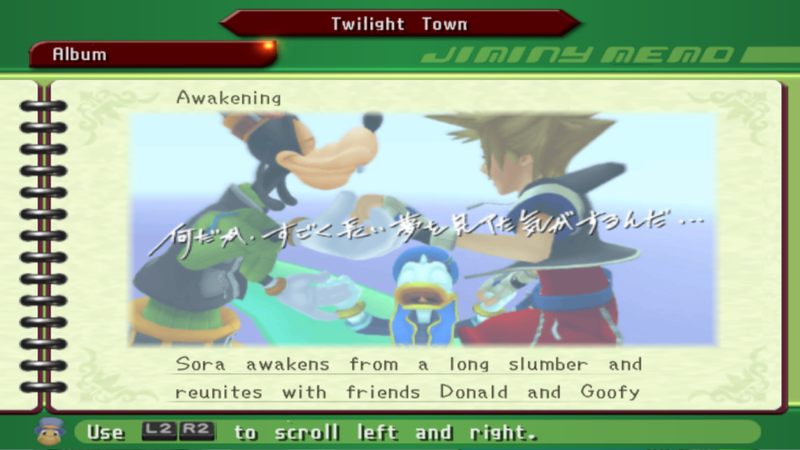 But I'm just really curious about what Sora felt the need to write. LOL. Well that's a sad wasted opportunity. They couldn't even make it similar to the Fantastic Beasts book and have lighthearted comments from the main character? I'm sure they are lighthearted comments. I just don't think they add much lol. Honestly though, I'm just going off of a hazy memory of a few translated pics, but from what I recall, they didn't really elevate it in a way that we are all missing out by not having them in the English version. Perhaps some of them do. Thanks for the pics, Audo, hopefully someone will give them a shot! well maybe lighthearted is the wrong word. Just small comments, humorous or sarcastic, of his adventures or something. King: "A king who fights for his friends who are important to him"
"He is very strong and skilled!" Roxas/Sora: "What are these strange emotions…"
"It feels like I've met (him) before"
Awakening: "What happened? 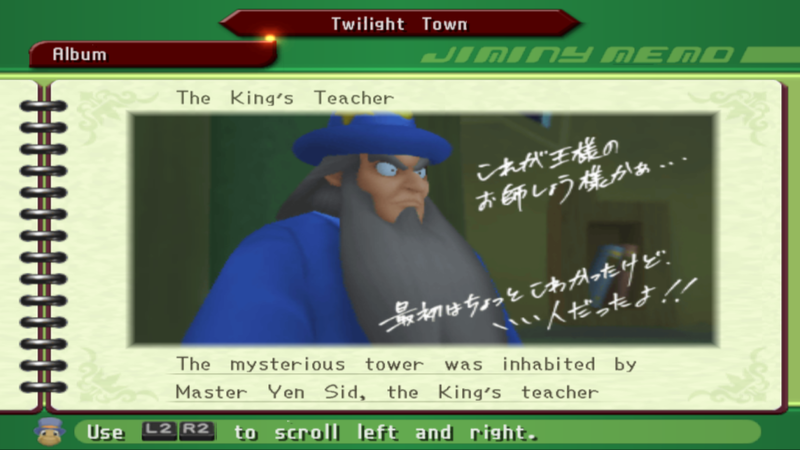 I had awakened from a long dream…"
Yen Sid: "This is the King's scary teacher…"
"I believe this is the start/beginning!!" I hope that helps ^^. Thanks, Mary and Zephi! They are kind of generic, but I still think it's interesting. 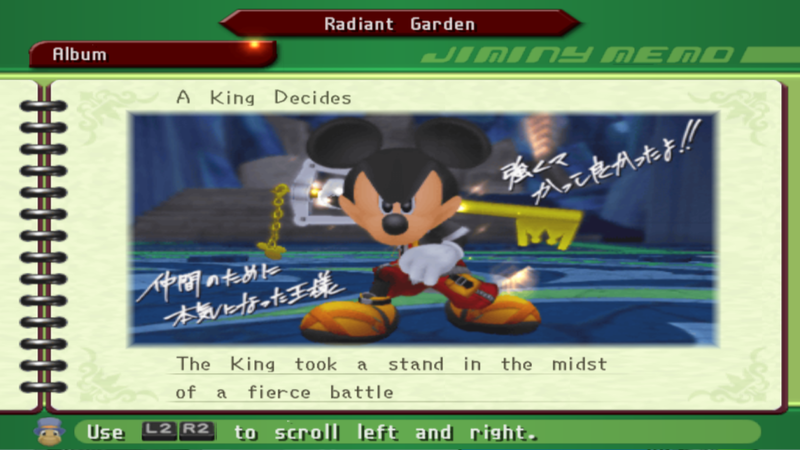 I really want something like this in KH3. It's so awesome! But I don't really think it's very likely to appear ever again. I agree that it's neat, but I don't think it adds that much to the game. I don't think we'll see it. OMG. The part about Sora thinking Yen Sid is scary is the best thing ever! I had no idea! But it seems like something Sora would think. LOL. That's definitely my favorite one of the bunch here. It may be kinda generic but it does bring in some insight into Sora Isn't needed but it's just that little bit extra ^^.